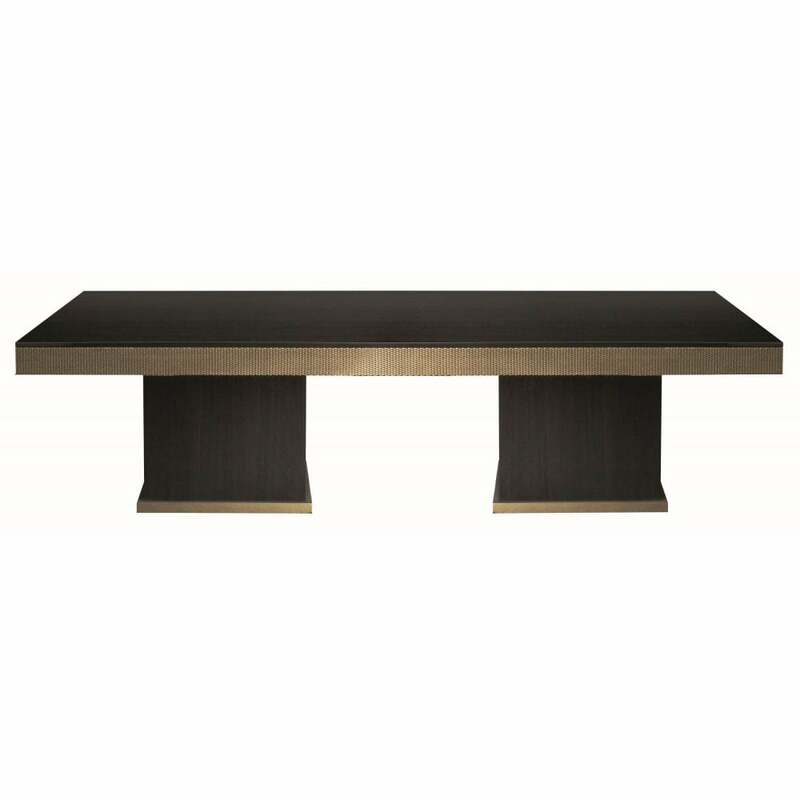 Edged in an engraved gold finish, the Karma Dining Table epitomises Hollywood glamour. This timeless dining table sits eight people comfortably, perfect for family gatherings and dinner parties. The design is hand-crafted from solid plywood with a dark walnut veneer. Style with gold tableware and 1920s inspired geometric patterns and pretty cocktail glasses. Create a statement dining room scheme with tropical print wallpaper, modern artwork and luxurious fabrics. For a more relaxed look pair with contemporary greys, matte black and crystal glassware. Make an enquiry for more information.